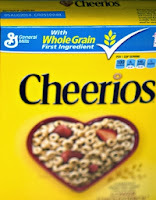 I like Cheerios, so I was happy to see from a recent article in The Wall Street Journal that General Mills will now be making sure that Cheerios don't contain any Genetically Modified Organisms - GMOs. This is cheery news, indeed. I do have a thought, however. How is it that we must now assume that all our food contains GMOs, unless we are specifically advised to the contrary? Shouldn't the rule be exactly the opposite of the existing rule? IF a food product contains some ingredient that is genetically modified, THEN we should be advised by a label. Otherwise, we should be able to assume that our food is "natural." Wheat means wheat, not genetically modified wheat. Corn means corn, not genetically modified corn. Salmon means salmon, not genetically modified salmon. Etc.! 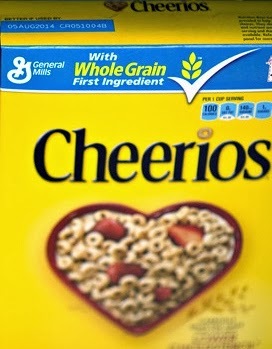 The cheery news from General Mills about Cheerios (read the article) should serve as a reminder that we have now come to assume that it's "natural" for human beings to have modified everything at the genetic level, where the characteristics of "life" are defined. We have put ourselves in that position without really considering the consequences. Our current practice is to notify people when food is NOT genetically modified. This is not exactly the "precautionary principle" in action. Houston, we've got a problem!! Gary, I hear you say GMO foods should require a label because they are unnatural. Your focus on GMO is special pleading because none of the crops we grow are natural. They have all been artificially selected for desirable traits, some over thousands of years. Natural wheat is called grass, and natural corn is called teosinte. Many plant lines were produced using seed irradiation to increase the rate of mutation. It doesn't even matter, though, because "unnatural" does not imply "dangerous" or "bad". Avoid the appeal to nature fallacy, my friend! Thousands of technologies are used to produce food. Only those which are relevant to human health are (should be) required on the label. 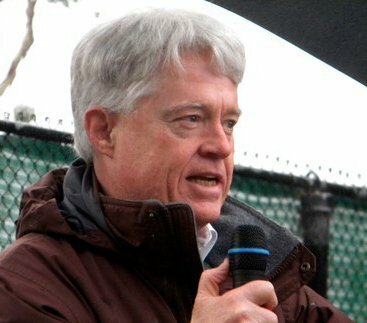 The precautionary principle has been satisfied by decades of careful study, finding approved GMO crops as safe as conventional. The burden of proof has been lifted by hundreds of scientific studies showing this clearly and difinitively. So say the European Union, World Health Organization, the National Academy of Sciences, the Royal Society of Medicine and the American Association for the Advancement of Science. Since the risk to human health from GMO is equivalent to that from conventional, it needs no label. Your ignorance of this research is no argument for mandatory labeling of GMO foods.